A popular option for driveways, walkways and patios, concrete pavers come in a plethora of styles, shapes and colors that allow you to customize your hardscaping and add value to your home. Choosing concrete pavers means you can create paved areas to your exact specifications with unmatched style. Whether you are looking to incorporate clean, modern lines or rustic, cozy textures, concrete pavers will not disappoint. Pavers are especially useful when you are interested in creating unique patterns that no other home will have. Pavers are exceptionally durable, and it is easy to set a few aside during the original installation process should you ever need to replace a worn down paver in the future. But when placed correctly, you shouldn’t have to redo your pavement or replace any pavers for years to come. Our Collection includes the most popular ranges of Clay Pavers These ranges are ideal for courtyard style spaces, enabling even smaller spaces to be stylish and classic. 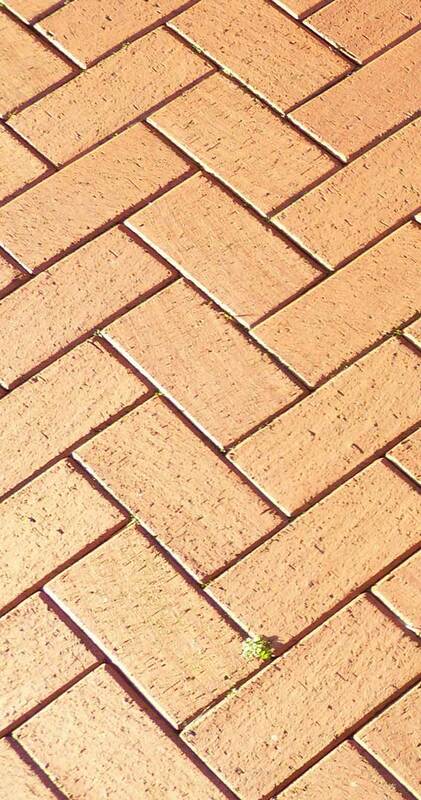 Available in beautiful colours, clay pavers are ideal to use in courtyards where they can be used to create small but interesting and stylish patio areas. Also perfect in cottage style gardens as pathways leading through colour filled flower beds or towards and inviting wooden door. We at MD Paving have developed a range of cladding that both protects and enhances the appearance of your building. Our range of cladding will provide you with a multitude of design options as well as lasting and durable materials. We have a selection of colours, textures and finishes to choose from, helping you to create your own authentic experience. Our cladding options are attractive, durable, low maintenance and is available in a range of Natural colours. Cobbles are timeless and cost effective and add an appealing authenticity to any project where a rustic effect is desired. We create a stone product that sets a standard and impression of genuine artistic replication. Effective simulated stone is where our undivided focus is set. The beauty of real stone at a lower price. Simulated Stone adds the look and feel of real stone, but with far less maintenance and cost than a traditional stone. Durable, fade resistant and available in a variety of colors. Sales representatives are available to answer any questions you may have. Experienced & established with skilled installation crews equipped with specialist knowledge of all aspects of modern paving types and trends. Able to work with a wide range of simulated stone products used for both commercial and domestic applications. Able to provide maintenance on existing paving This “nip in the bud” attitude can often translate to massive long term savings. Able to offer professional advice with regard to water flow, choice of bricks and the optimum type of brick patterns that should be used depending on each application. Used by various brick manufacturers as a proffered installer of their products. Companies such as WonderRock, Colonial Stone and Lacotta use MD PAVING as a proffered installer of their products. Setting new standards by offering a two year warranty on our works The Master Builders Association Paving Division recommends a one year guarantee on paving. MD Paving are specialists in clay and concrete pavers for domestic and industrial applications, but it’s our Personal Care And Attention To Detail. With a reputation for quality that is second to none. MD Paving is completely Self Sufficient and has its own construction plant. This increases the efficiency of the company as there is no need to rely on any other party. MD Paving also has a loyal complement of staff, some of whom have been with the business since its inception in 1981. It goes without saying that Our Workmanship Is Fully Guaranteed. We provide a complete service from the design of the entire area to be paved, right up to the removal of all the rubble from the site. You’ll also be pleased to know that the final payment is made only once all the work has been completed. We make a commitment to using only the finest materials together with the most highly skilled labour. We specialize in industrial, commercial as well as domestic paving, including design, as well as required earthworks. Our pricing, based on each project requirements, we believe is very competitive. We are specialists in simulated stone products as well as cement and clay pavers and can help in finding the best type paver for your personal application.